now living in Ottawa and performing internationally for enthusiastic and admiring audiences. The journey for Vasyl Popadiuk from Ukraine to Canada has been one of musical adventure, starting at Kiev’s Lysenko school for gifted children at the tender age of 7, and continuing at Ukraine’s National Tchaikovsky Conservatory of Music from age 18. 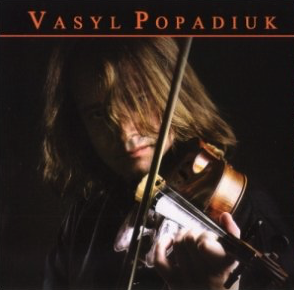 Vasyl Popadiuk’s father, himself a renowned composer and pan flute player, dreamt of his son following in his footsteps as a flutist but at the age of four Vasyl Jr chose to play the piano. By age six he had discovered and fallen in love with the violin – an outcome predicted by a stranger before his birth – that love has remained steadfast through the years. 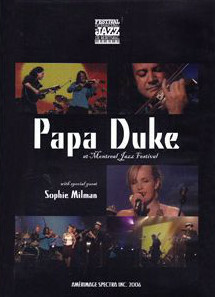 Popadiuk who is a multi-instrumentalist (he playes 15 instruments), has toured with many prestigious troupes, including Ukraine’s Hopak National Ensemble, Kiev’s Gypsy Music Theatre Company, and the Nazarov Music Theatre Company of Moscow with whom he performed for many international dignitaries including the late King Hussein of Jordan. He was asked to accompany Soviet leader, Mikhail Gorbachev and his wife as part of the cultural entourage during a state visit to Spain where he performed for Queen Sofia. He performed in a feature concert at the 1988 Calgary Winter Olympics and in 2003 was a semi-finalist in the CBC’s ‘Great Canadian Music Dream Contest’. 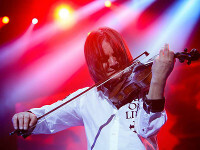 2009 Vasyl appeared at PBS “BUFFALO” TORONTO with his LIVE CONCERT FROM MONTREAL. 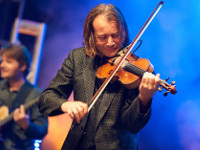 His many fans include Don Was, Tom Cochrane, Ian Gillan (whose solo album Vasyl was asked to play on) and Jesse Cook. In the past he often appeared as special guest to Mediterranean guitarist Pavlo in Canada, the U.S. and the UK. 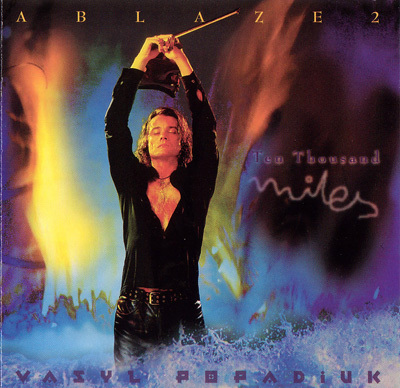 More recently he has made several appearances as special guest for world-music guitarist Jesse Cook who asked Vasyl to play on his new album BEYOND BORDERS. During the past year Vasyl has assembled his new 5 piece band PAPA DUKE and recorded his fifth album with them. 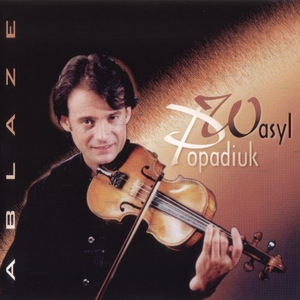 The band name is a play on Vasyl’s last name and the fact that he is considered by many to be the ‘duke’ of gypsy violin. They have already headlined at Harbourfront, the Burlington Jazz & Blues fest, performed at Montreal Jazz Festival with Sophie Milman as Special Guest, and with the Mississauga Symphony at the Living Arts Centre. 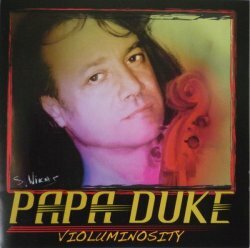 Papa Duke’s music is best described as ‘Gypsy World Fusion’ with classical, jazz, latin and pop undertones. The current line up of stellar players in Papa Duke except includes: Vasyl Popadiuk as a frontmen on violin, Stan Fomin on piano and keyboards; and a fantastic cuban trio – dynamic guitarist Elmer Ferrer (playing a custom string guitar); acoustic & electric bassist Juan Pablo; and newest member Amhed Mitchell on drums and percussion. For more information, tour dates or media information, please contact us on info(at)vasylpopadiuk.com or with the form below.